How Will My Car Accident Medical Bills Get Paid? Proving liability after your car accident and helping you recover damages is just a part of what our car accident team of lawyers does. Once you begin recovering from your injuries after a car accident, you will probably start to wonder how the medical bills are going to be paid, especially when you are not at fault for the car crash. Who is Responsible for Paying Your Medical Bills? Ultimately the responsibility to pay for your medical care lies with you. However, before you break out the checkbook speak to a car accident lawyer at our law firm about filing a car accident lawsuit. Proving liability after your car accident and helping you recover damages is just a part of what our car accident team of lawyers does. 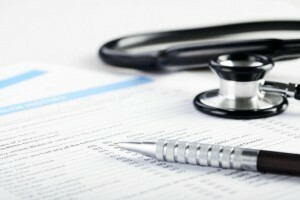 We also are shrewd negotiators who can assist you in minimizing those medical bills to put more money in your pocket. Your health insurance policy should be used first to begin paying off your medical bills. They are only billed a fraction of what you would be, cutting down on the overall expense after you have reached a settlement with the negligent driver’s insurance company. Your health insurance company has the right to demand compensation from you for their expenses if you receive money from the defendant to help cover your medical costs. When you use your health insurance policy to cover the costs of your medical care after an accident, our attorneys can work out a deal with them to reduce the amount owed once the case has been settled. Some of our clients don’t have the benefit of insurance, or the high cost of care after an accident has caused it to reach its limit. Any bills that are left unpaid for should be brought to our attention immediately. We will negotiate a similar solution with the hospital’s debt collection department to reduce the amount owed once a settlement or award was has been determined. Health insurance companies and collection agencies for hospitals and physicians have the right to put a lien on your potential settlement from a car accident claim. Make us aware of all the debts you have incurred before they resort to that so that our lawyers can talk with them and negotiate a fair payment from your compensation. Any out of pocket expenses you incur as a direct result of the injuries from your car accident is also compensable. You may not consider one small bottle of pain pills to be much, but once you start adding up those costs you will see how much of your personal money is being spent as a result of the car accident. Save all of the receipts for these out of pocket expenses in order for our team to add them to your lawsuit. Negotiating with your creditors is just one of the many ways our team of legal professionals will assist you in pursuing compensation for your car accident. Our goal is to help you recover as much of the damages you incurred as legally possible. This means helping to prove liability, providing proof of the financial losses you have sustained, and negotiating with the companies that you are now indebted to. Allow our specialized St. Louis car accident lawyers help you to maximize your compensation amount. Call our office today before beginning to make payments on your medical expenses. Be ready to discuss your case by having all medical records ready. From there we will help you to decide what the best course of action will be for you to handle the medical bills until the claim has been settled.